With a stay at Emy in Skiathos, you'll be within a 15-minute drive of Megali Ammos Beach and Achladies Beach. This hotel is 4.4 mi (7.1 km) from Lalaria Beach and 9.1 mi (14.7 km) from Koukounaries Beach. When you stay at Hotel Rene in Skiathos, you'll be near the beach, a 3-minute drive from Megali Ammos Beach and 6 minutes from Achladies Beach. This hotel is 4.2 mi (6.7 km) from Lalaria Beach and 6.8 mi (11 km) from Koukounaries Beach. Make yourself at home in one of the 90 air-conditioned rooms featuring refrigerators and flat-screen televisions. Rooms have private balconies or patios. Complimentary wireless Internet access is available to keep you connected. Private bathrooms with showers feature complimentary toiletries and hair dryers. Make yourself at home in one of the 42 air-conditioned rooms featuring minibars and flat-screen televisions. Rooms have private furnished balconies. Complimentary wireless Internet access keeps you connected, and satellite programming is available for your entertainment. Private bathrooms with bathtubs or showers feature complimentary toiletries and hair dryers. 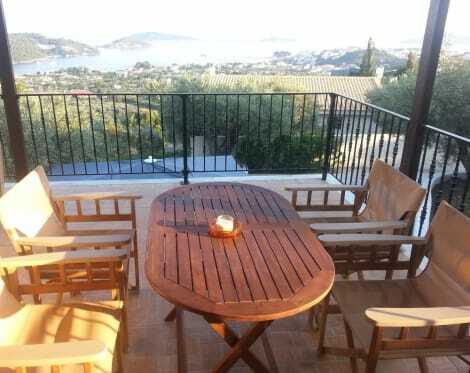 Based in a picturesque town on a beautiful Aegean island, Skiathos Town hotels are surrounded by golden beaches and friendly tavernas serving delicious Mediterranean meze. Skiathos Town is the main town on Skiathos Island, a beautiful destination and one of the central filming locations for the movie Mamma Mia! Skiathos Town is a labyrinth of tavernas and bars selling delicious meze and moussaka – you could very easily spend a few hours wandering through various side streets before making your way to the harbour. The waterfront is a hive of colourful fishing boats and small shops selling ice cream. If you're looking to buy souvenirs there are plenty of side-street shops to explore, offering everything from handmade ceramics to bronze jewellery. Head a little further out from the town centre and you'll find a number of golden beaches, such as Koukounaries Beach and Lalaria Beach. After a day spent basking on a sublime beach you'll want to return to a taverna and spend the whole evening sampling olives, figs, feta cheese and yoghurt. When night sets in head to one of the town's many bars, where you can sample Greek ouzo and locally made wine. Take a short stroll from Skiathos Town and you'll find Panagia Evangelistria Monastery, a 19th-century religious building that includes a fascinating collection of artefacts and folk instruments. The area surrounding the monastery offers breathtaking views of the Aegean Sea across the tops of pine forests. Another impressive church in the area is Evangelistrias Monastery, featuring a vineyard that's run by the monks. There are plenty of picturesque beaches dotted beside the island's many villages and towns. Kanapitsa on the south coast of the island has two blue-flag beaches as well as a number of secluded coves to explore. Kolios Beach is one of the most popular destinations on the island and is only eight miles from Skiathos Town, while on the western side of the island is Koukounaries, a gorgeous beach area surrounded by pine trees. If you're looking for a party atmosphere, Banana Beach is close to Koukounaries and features a regular line-up of beachside DJs. If you're travelling with kids in tow, Aghia Paraskevi on the south coast of Skiathos is home to the shallow waters of Platanias Beach, a white sandy stretch that spans 600m and is popular with families.